Users were overwriting returns because they didn’t know how to start a new return. Users were creating multiple copies of a return and checking e-file status from a copy that wasn’t sent. Getting started took more steps than necessary. The process for new and returning users was the same. Importing a prior year return took more steps than necessary. Update availability information was not readily available before beginning a return. 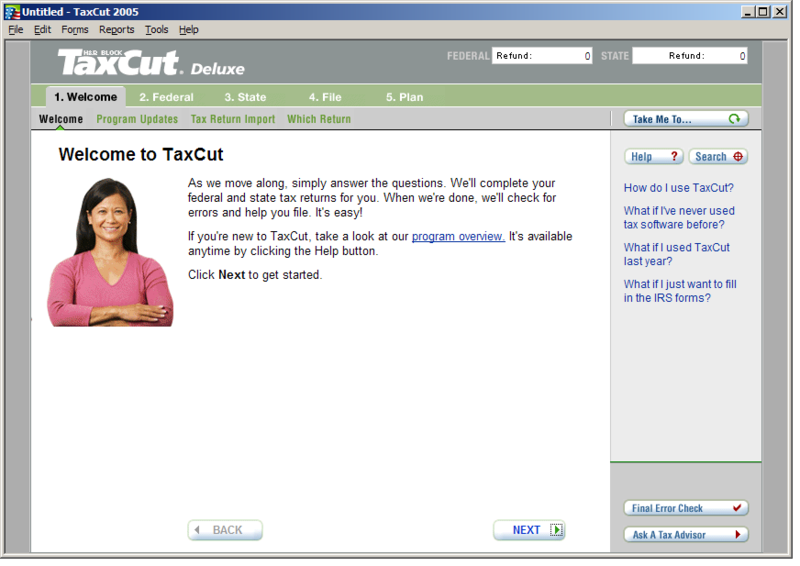 Single Welcome screen that isn’t tied to a return and lists out available returns and other important information, such as update availability. 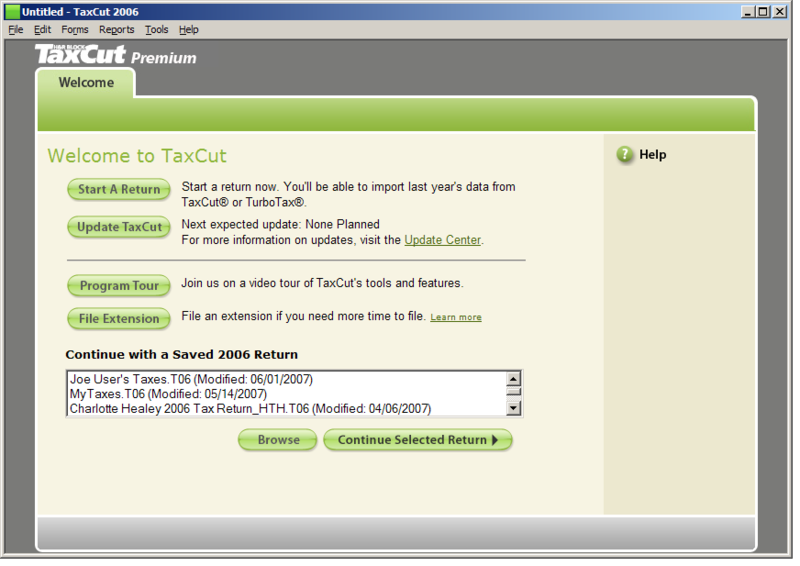 Shortened import process that displays available returns to import, since 60% of users import. Update functionality available outside of return preparation task. Online prototyping and a summative usability study confirmed an improved experience. Reduced contacts about issues with checking return status and overwritten returns.